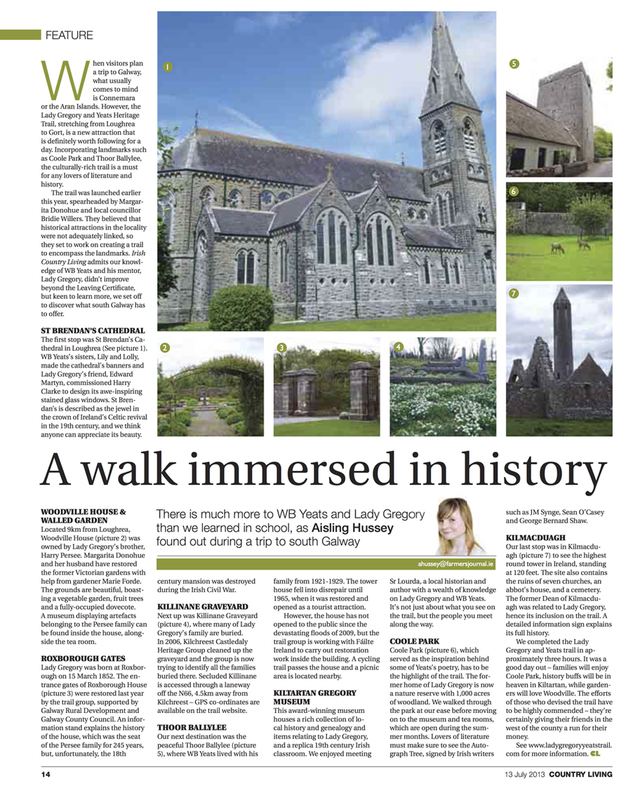 Farmers Journal 13th July 2013, country Living Magazine. 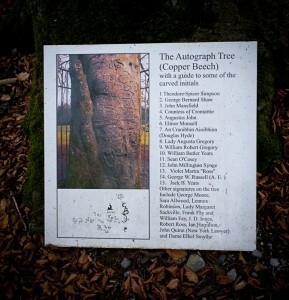 The list of carved initials on the Autograph tree in Coole Park. 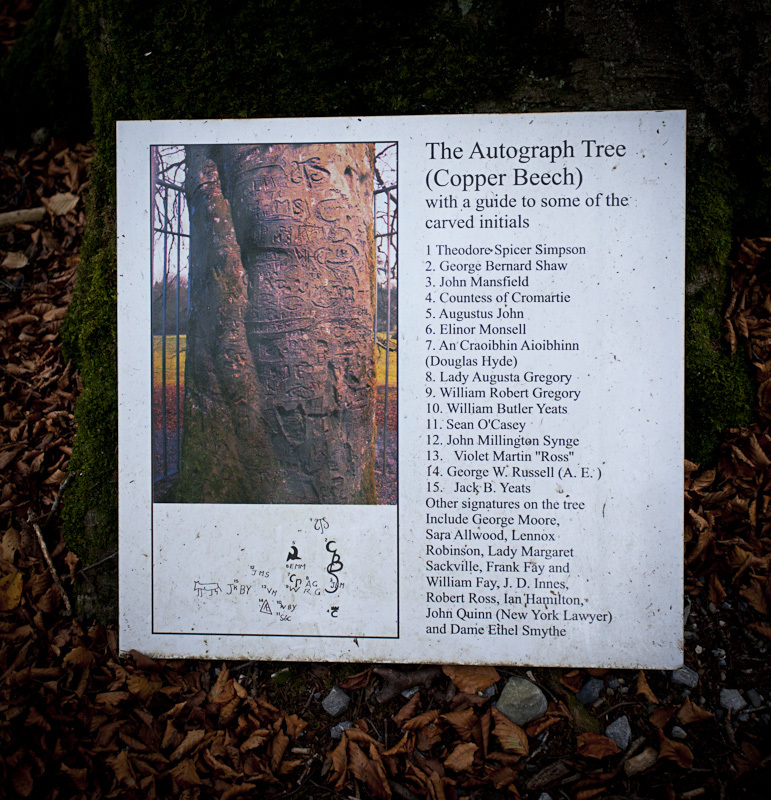 List of signatories on the Autograph tree Coole Park. 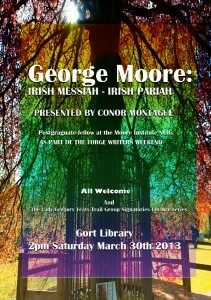 Presented by Conor Montague. Post-graduate fellow at the Moore Institute NUIG. Thank you to all who attended our first presentation of talks on the lives of signatories of the Autograph Tree Coole Park. 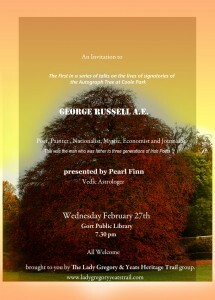 Pearl finn gave an inspiring presentation on George Russell A.E. First presentation George Russell A.E. 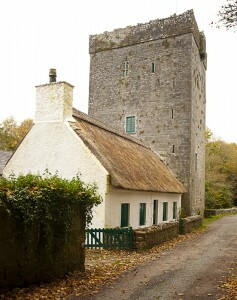 Maintenance work around the famous ‘ Yeat’s Tower’ of Thoor Ballylee, in south County Galway is due to begin, following a lengthy period of consultation. Following severe flooding in 2009 and 2010 the tower and its grounds were left severely damaged. 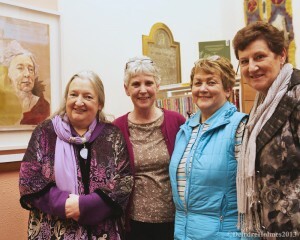 After nearly two years of consultation with Failte Ireland, the Lady Gregory & Yeats Trail Group obtained permission to engage Tus – Galway Rural Development, to start maintenance work. 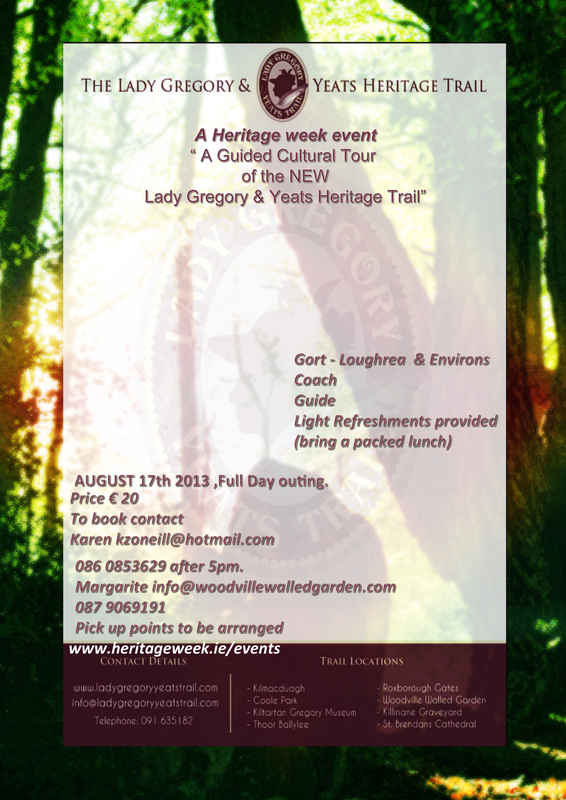 The Lady Gregory and Yeats trail group welcome this partnership to improve the site coming into the tourist season. Thoor Ballylee is one of eight sites included in the Lady Gregory and Yeats Trail. Woodville Walled Garden is now opened for the month of February from Thursday to Sunday, 11am to 4pm to view the first early spring bulbs. 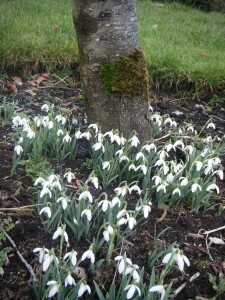 A special tour of the Walled Garden will be given by the head gardener at 2pm each day. For further details please contact 087/9069191.